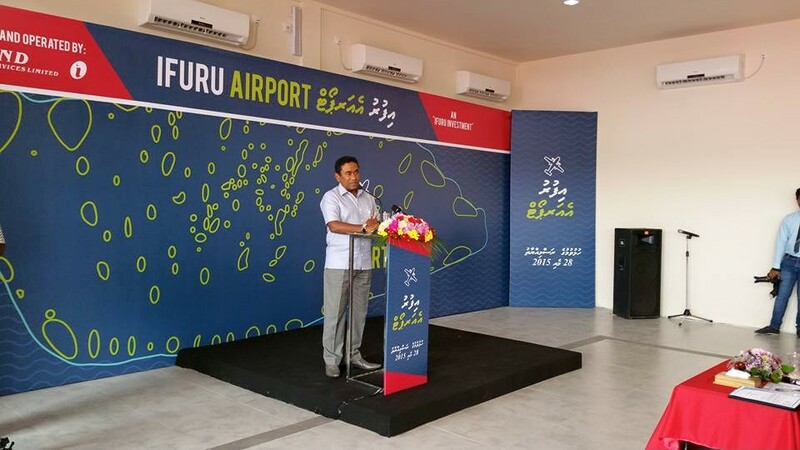 Raa Ifuru domestic airport was inaugurated this morning by the President, His Excellency Abdulla Yameen Abdul Gayyoom. This airport developed by Ifuru Investments will be managed by Island Aviation, which operates the national airline of the country. Island Aviation currently manages Dharavandhoo domestic airport in Baa atoll and Thimarafushi airport in Thaa Atoll. Maldivian operates daily flights to Ifuru which commenced from May 29th 2015.